Posted on March 5, 2018 by Skylar N.
Yet again another perfect book by the duo Christina Lauren (Christina Hobbs and Lauren Billings). I will admit that when I first started this series I was sad. I was worried that this would not be like the series before it. But that is not the case in the slightest. This book follows Harlow and Finn. 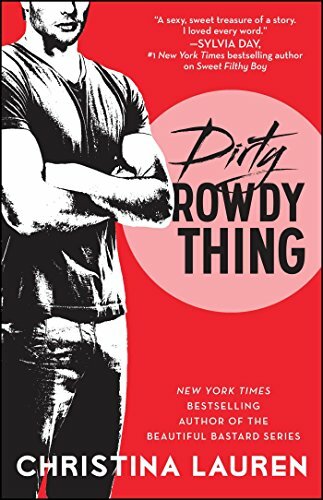 Harlow is one of Mia’s friends that we meet in the first book in this series (Sweet Filthy Boy). Harlow and Finn ended up getting married just like Mia and Ansel, except they annulled it the next day. Harlow connects with Finn again, this time in her home town. They both are going through a difficult time, and they use each other as a distraction. After each encounter they have with each other, they tell themselves that it means nothing to them and that they are just friends. But as time goes on, they both realize that it means more to both of them than just a distraction. As always with Christina Lauren’s books, we get such a nice sweet ending! Do not skip this one! Posted on March 1, 2018 by Rebecca V.
The Distance Between Us is about 17 year old Camyen who thinks that the poor and the rich shouldn’t be together. Camyen helps her mom in their doll store. Her mother sees rich people as customers, as profit, as people who wouldn’t care at all about her well being. She grew up listening to her mom explain that rich people associating with the poor is just a game to them. Since Camyen’s father’s family didn’t help her mom when she found out she was pregnant, they both hate rich people in general. But Camyen’s whole mindset is changed when she meets Xander. She first sees him as just another rich boy that she’ll never care about. She acts rude and sarcastic, like she normally is. But Xander doesn’t sneer, or act like she’s below him. Instead, we find out that he actually thinks she’s funny and later, deeply cares about her. I didn’t actually read this book, and I instead listened to it as an online audiobook. I don’t think I’ve listened to an audiobook in years. It was a completely different experience. When you’re reading, everyone tries to get a good image of what’s happening in their head. For me, I feel that the audiobook gave me a much better imagery. I was imagining what the doll store looked like, with all those creepy dolls staring back me. It felt like some horror movie where all the dolls come to life. I felt that it wasn’t a bad book overall, but the ending was rushed and not that great. When you’re reading an unrealistic love story, it can only be so unrealistic before you start to dislike it. The realistic part of me, just thought that the whole ending would not end up that way. And the two characters that were introduced in the end were just shoved into the book. They didn’t really flow with the whole daughter rebellion thing. I agree with the Goodreads rating of 4 stars. But if you’re a fan of Kasie West, it’s what you would expect from her, and I would say to read it. And of course, I’m on Team Mason and not Team Xander. 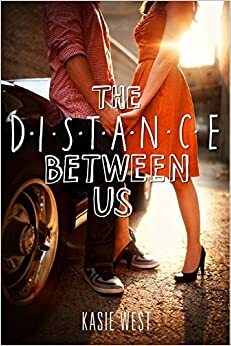 The Distance Between Us by Kasie West is available for download from Overdrive. Richard is a 10-year-old kid with a 40-year-old brain. It’s was very astonishing to see how mature he was. His mom looks like a 3-year-old kid to him all the time. And yet, his mom Nada goes away. But Richard never felt really down until his family moved into a suburban area and he was sent to private school with many other rich but neglected boys to support his dad’s business. His mom Nada is a very pretty woman with a Russian accent and was a writer, though she never let Richard call her “mom” nor allowing him to take a glance at his story. Life must be really hard for Richard because both of his parents don’t really love him like normal parents are. It was such a shock to me when his dad ended up marrying the neighbor after his mom went away. Richard’s life was tragic, and this book embellished a veil of society on the tragedy. 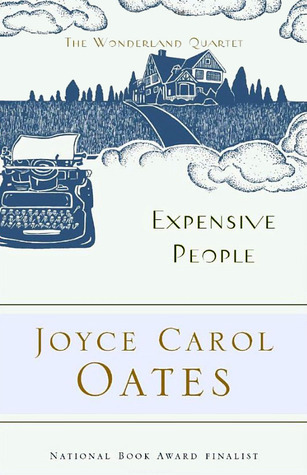 Expensive People by Joyce Carol Oates is available for checkout from the Mission Viejo Library. 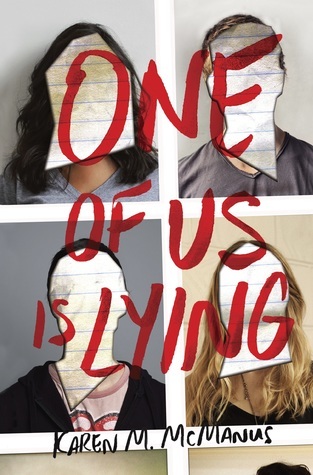 Posted on October 10, 2017 by Anmol K.
One of the best books I have read, One of Us Is Lying by Karen M, McManus, kept me hooked till the end. The plot revolves around five high school students: the jock, the brainiac, the troublemaker, and the princess. Cooper, Bronwyn, Nate, and Addy all are in detention together for having cell phones in their backpacks when they were supposed to be left in their backpacks. Each one claims that the cellphone was planned by someone else because each kid claims to have left in their locker, but the teacher does not believe them. Figuring that it must be a prank, they go to detention. Along there with them is Simon, a fellow senior. He is there for the same reason, but does not fit into any of these said stereotypes. While the students are serving detention, Simon goes to fill a paper cup with water. All of the sudden, he collapses and is rushed to the hospital. There, he is proclaimed dead from a severe allergic reaction to peanuts. The whole community is shocked, and blame is placed upon the four other students who were in that room with him. Each claims to be innocent, but each also has secrets to hide. Did someone in that room do it, or was it a group of them, or was it someone else with their own motives? To find out, read this novel and be prepared for a great plot. I absolutely enjoyed this book because of the plot and the characters. As a fan of thriller novels, I especially enjoyed the high school aspect of it. It helped make it more relatable and added to the suspense. Another great aspect of this book is the characters and what each of them brings to the plot. As the story went on, their secrets were revealed. Those various revelations helped to make the plot more twisted. The main question of who did the crime was on my mind the whole novel, and the answer was delivered in an interesting way. As clues were revealed, I started to figure out the answer, but it was close to the end. I would recommend it to any high school student looking for a thrilling read. Posted on August 23, 2017 by Elina T.
Middle school shouldn’t be a time for people to be put under so much stress. But, Fern, a twelve-year-old girl, has to deal with much more than she should. Her father is constantly trying to boost business for the family restaurant, and unfortunately, Fern often gets pulled into the mess, being forced to wear stupid t-shirts for ads. Her mother is always meditating, and on the rare occasion that she’s not, she’s doting over Fern’s three-year-old brother Charlie, who always gets what he wants. As if that weren’t enough, her two older siblings are dealing with their own problems that often end up affecting the entire family. Sarah, her older sister, is taking a gap year after high school and is busy avoiding work, while Holden, Fern’s brother, is focused on making himself believe that his parents don’t realize that he’s gay. But then something catastrophic happens – something Fern would have never expected, and it changes all of their lives tremendously. Ran is Fern’s only solace in this huge mess, with his soothing presence, and his t-shirts with positive and encouraging quotes. She must rely on his mantra: “all will be well” to convince herself that she will be able to get through all of this. I didn’t really know anything about this book before reading it, but I was looking for something to read, and thought this book looked interesting. I was pleasantly surprised at how good it was and read the whole thing in one day. The book itself isn’t very long-so it’s a fairly quick read. But, it is pretty deep, and it’s definitely filled with a lot of emotion. 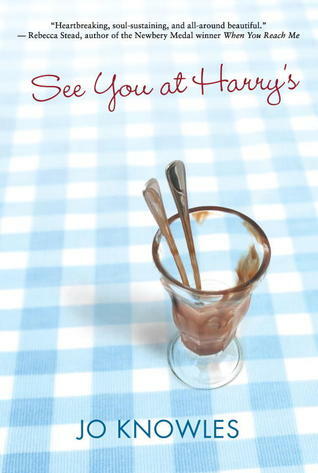 Although the author, Jo Knowles, did grow up helping out at her parent’s family restaurant, the characters in this book are fictional. However I felt that she did an amazing job at describing and developing these characters. I could easily imagine a family like Fern’s to be out there somewhere. I really love this book despite the fact that it is very sad. If you do end up reading it, which I highly recommend doing, make sure to have a tissue box nearby. Posted on August 11, 2017 by Elina T.
Maybe we’re not all nearly as intelligent as Sherlock, but we can, at the very least, tune in and try to decipher and understand his thought process (even though we’ll most likely never succeed in this – his thought process is very complicated). Sherlock Holmes has been acting as a consulting detective for the Scotland Yard Police Department in London for some time now, and has been very helpful in successfully solving many of their cases. He does, however, seem to lack the sort of emotion that most people have. In fact, he himself identifies as a sociopath. But this does not, in any way, inhibit his incredible ability of making amazingly accurate deductions and thinking far faster than even his own brain can follow. Because of his keen intellect and blunt demeanor, he comes off as a rude know-it-all to nearly everyone he meets. That is why it’s not surprising that Dr. John Watson, a veteran, is taken a bit off guard when he first encounters Sherlock and is asked if wants to share a flat despite the fact that he had only just met him. After getting over the initial shock of someone knowing so much about him by merely looking at him, John moves in with Sherlock at 221B Baker Street and promptly begins solving crimes with him. John turns out to be a very valuable asset in his contributions to investigations, but more importantly, Sherlock grows to care about him, which is most uncharacteristic of a sociopath. I think this is an excellent show, especially for people who like crime/mystery. It gives a unique, contemporary take by placing these original stories by Sir Arthur Conan Doyle in modern London, making it easier for people today to understand and relate to the familiar culture. It’s also got some really funny parts. The mysteries are always really well thought out, and I love how well and thoroughly they’re solved by Sherlock, John and Scotland Yard. I also like how there’s such a wide variety in the types of mysteries that they solve. No two of them are alike- they’re always very different so it never gets repetitive. This is an amazing, humorous, yet sophisticated show with great characters, intriguing crimes, and a suspenseful and thrilling story line that’ll keep you on the edge of your seat. It’s easily one of the best shows I’ve ever seen. 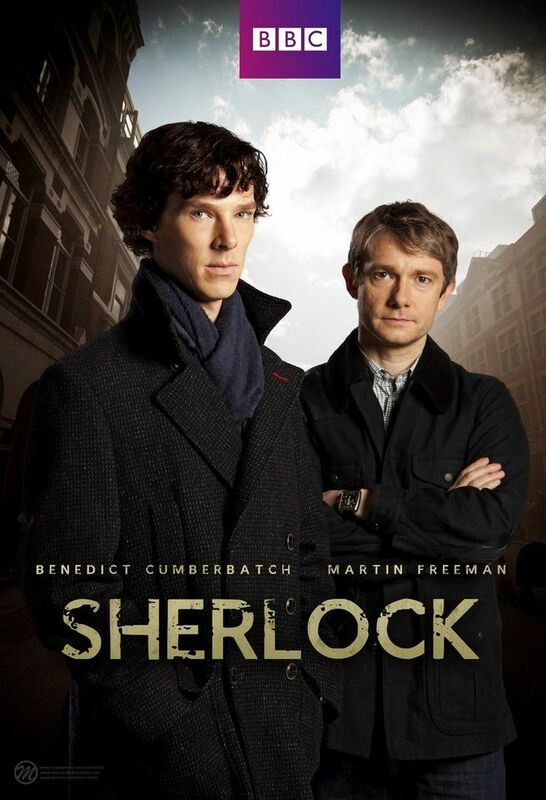 Season One of Sherlock is available for checkout from the Mission Viejo Library. 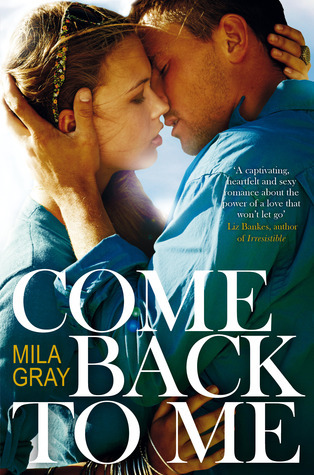 Posted on August 2, 2017 by Skylar N.
Come Back To Me by Mila Gray is a New Adult romance book, set in today’s time. The two main characters are Jessa and Kit. Jessa’s brother, Riley, has known Kit and has been his best friend since elementary school. Now they are going off to join the marines, and Jessa has had a crush on Kit since she was 14. Every year Jessa’s mother hosts a beginning of summer barbecue and Kit comes every year. This year Jessa talks to Kit on her own. They spend the rest of the summer together. But something happens one morning after Kit and Riley get deferred again, you need to read the book to see what happens! The best part of this book is the fact that Kit may just be the best boyfriend ever. He always stood up for Jessa, even when she was against him, he pushed her out of her comfort zone, and he protected her, at all costs. But he isn’t one of those characters who seem too perfect to be real. He is just a genuine sweet person. When you read the book and see how he treats Jessa, it makes you fall in love with him, you wonder to yourself, “Why can’t I find someone like this?”. The author, Mila Gray just has a sort of magic to her writing. She hooks you in, and if you read like I do, you’ll find that writers now-a-days just can’t really do that anymore. They may be able to keep your attention span for a few pages, but after awhile you lose interest or just forget what’s going on. Mila Gray doesn’t do that. Once you crack open the book, you’ll be hooked. Mila Gray can also write really good romance scenes. Another cool thing about her is that she can write dual POV. When you read most books with dual POV you find that the character’s “voices” mix together too much, it is hard to tell whose voice you are actually reading. With Mila Gray’s writing, you can always tell who is the speaker and that’s another thing I love about this book. This book (and it’s sequel, Stay With Me) are available at the Mission Viejo Library.